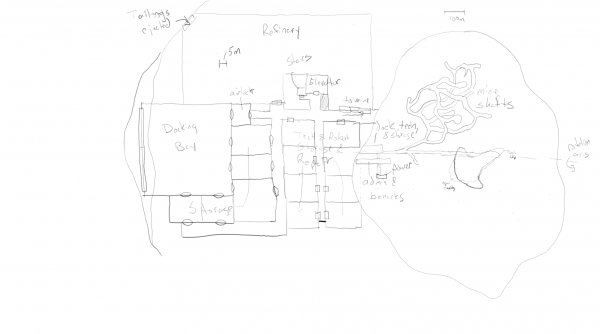 I’ve been working on roughing out the map for Osiris Base and thought I’d share the rough sketches with you. Especially since I won’t have much to post for a while as I work on the final versions of these maps. Starting with this part of the project, I’ve started working out a new workflow. I recently purchased a new laptop, so instead of an really old (7+ years) netbook with an Atom processor, I’ve got a shiny new Lenovo Yoga 730. These images were drawn on the touch screen of that laptop in tablet mode using a Lenovo Active Pen 2 Stylus and using the Autodesk Sketchbook app. Previously I used to do my sketches on my Samsung Galaxy Note Pro 12.2″ tablet. Then I would transfer it to my desktop and work on the final images. The new laptop allows my to do the initial sketches and final work all on the same computer. The laptop is more powerful than both my tablet and my old desktop so it was been really nice to work on. 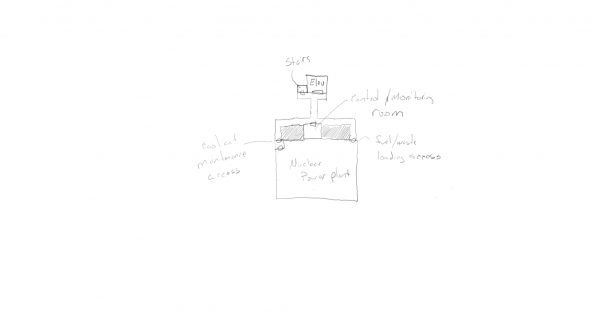 Enough about the setup, on to the sketches. This level houses the crew quarters along with the base’s computer system, life support system, offices, and recreation facilities. This level simply houses the nuclear generator that powers the complex. It is buried deep within the asteroid away from the crew level. That’s it so far. The ship buried in the core of the asteroid (seen on the overview map) will be detailed in a different section of the adventure so I’ll work on that later. I also don’t plan on detail the mines as they twist and turn through three dimensions as they followed the richer ores. 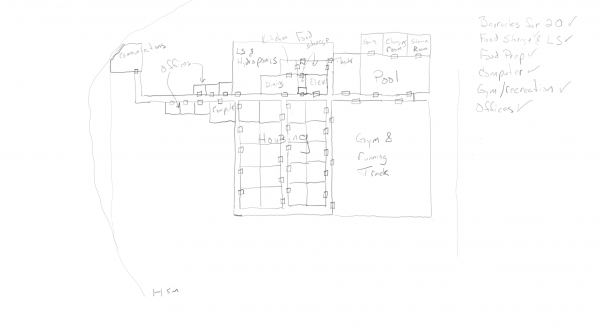 If you have any suggestions or comments as to things that I forgot or should include in the map, feel free to let me know in the comments below. I’ll probably think of some as I start working on the details. When I first started, I forgot to add in the ore processing facility. I was posting sketchs on a Google Plus community when I realized I had overlooked that major detail. Luckily it was easy enough to add in. As I mentioned at the beginning, there probably won’t be any major posts for a while while I work on these maps. I need to develop a process to match the style of maps that Bill has already produced for FrontierSpace so that things look consistent. I don’t know how long that will take. I’ll try to keep you posted as I go.